At the top is a Format Bar. 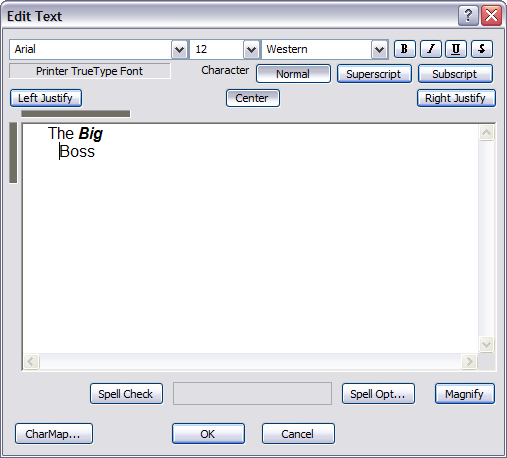 With it you can choose fonts, sizes, emphasis, etc. That all works pretty much like any word processer that you are familiar with. 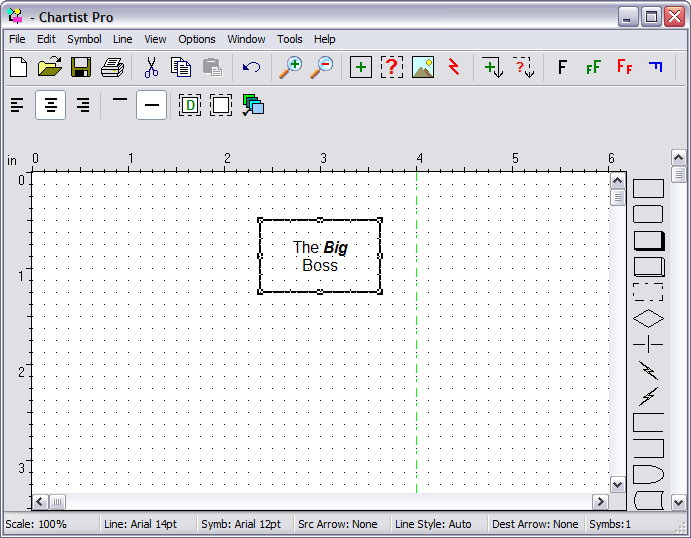 The dark shaded areas at the top left corner of the text area indicate the height and width available for text inside the symbol that you are editing. The other items in this dialog are pretty self-explanatory. If you want to know more about an item, you can use the dialog help function which is in just about all of our dialogs. To use dialog help just click on the question mark ? on the top right of the dialog box, then click on the item you want to know about. To complete the edit, click on OK.